We are heartbroken by the news of the tragedy in Parkland, at a school that is part of our local community. 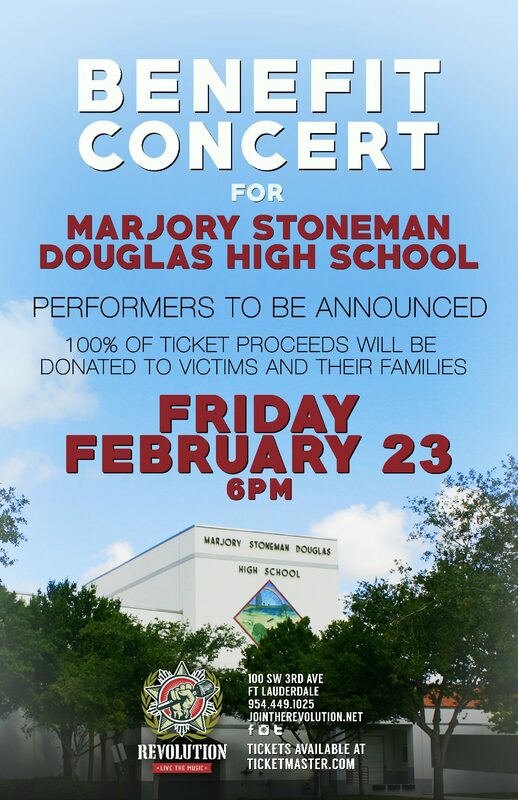 Join us on Friday, February 23 for a Benefit Concert for Marjory Stoneman Douglas High School at Revolution Live in Fort Lauderdale, FL. 100% of ticket proceeds will be donated to provide financial support to families of the victims and first responders. Doors open at 6PM; Performers & schedule to be announced. We’re looking for additional partners – contact us at info@jointherevolution.net for more information.